For those seeking a younger, more vibrant look, facelift surgery in Tijuana offers a highly effective method of reducing the unwarranted signs of aging. As we all know — sun damage, stress and time all have a profound effect on your skin. As the days go by, these effects show themselves in the form of fine lines, wrinkles, excess skin and other types of skin damage that can make a person appear older. 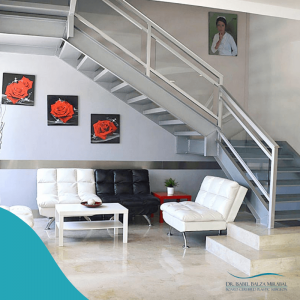 At the leading plastic surgery clinic in Tijuana, BM Plastic Surgery, Dr. Balza Mirabal performs facelift surgery as an excellent option for patients seeking a solution to this unwarranted damage, including lines from the corners of the eyes, a sagging jaw line (jowls), and other telling effects of skin damage or age. As men and women age, the tissues that give the face its physical structure and support, begin to take a toll. Performing a face lift can dramatically help these structures acquire a more youthful appearance. Face lifts can be performed in the entire face, in what is called a complete face lift. For patient’s that want a more conservative approach, we offer targeted face lifts. To understand this, visualize the face divided into three regions horizontally. The first area is the upper third, followed by the middle third, and finally the lower third of the face. These procedures are recommended for individuals that have mild to moderate skin sagging. We also offer the minimally invasive endoscopic face lift for those worried about excessive scarring. During the facelift procedure, Dr. Balza Mirabal will make an incision that begins at the hairline above the ear and follows the natural curves of the ear and ends at the hair behind the ear. A small incision can also be made beneath the chin, in the neck. While tightening the underlying facial muscles, the surgeon stretches the skin to create a natural, rested, more youthful appearance. A facelift can be done alone or in conjunction with other procedures such as a forehead lift, eyelid surgery or nose reshaping.